Greenhills Herald: CSPE Fund-raising- 2nd Year. 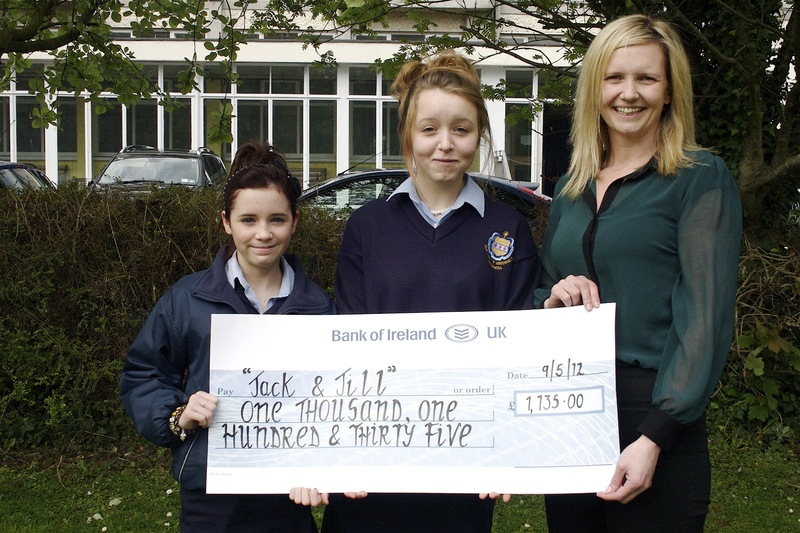 Mrs Ryan & Mr. O'Connell's CSPE classes had the great pleasure of presenting a cheque for e1,135 to the Jack & Jill Foundation as part of their action projects. We spoke about the great success of our Jeans & Jersey day and who knows, maybe it could be an annual event!!! Susan Norris from J&J accepted the cheque and thanked the girls for all their hard work and effort. Thanks to Miss Tighe for the photos!